Just a short flight from the East Coast of the USA, the Turks and Caicos Islands are some of the most beautiful and serene in the world. Long, sandy stretches of unspoiled, quiet beaches, vibrant coral reefs teeming with life and sparkling ocean as far as the eye can see. The Turks and Caicos are actually made up of 8 inhabited and 32 uninhibited tropical islands and cays, which in total make up a land mass of roughly 430 square kilometres. Located southeast of the Bahamas, they are a popular destination for British and American tourists alike. With so many islands and such an eclectic mix of history, gorgeous beaches and exciting water sports it can be a challenge knowing where to start. In fact, many people end up returning time and time again, discovering more of this beautiful part of the world every time they visit. Regardless of whether this is your first time or you’re a Turks and Caicos veteran, this guide might just open your eyes to a whole new side of the islands you never knew existed. 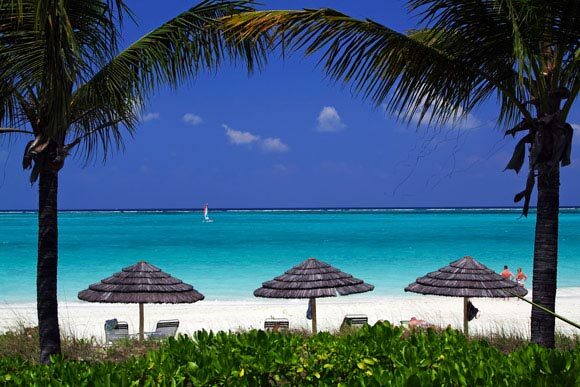 Once you’ve finished reading, search for Beach Front Condos Turks & Caicos online. You might just find yourself booking today! No trip to the Caribbean is complete without experiencing its world famous scuba or snorkelling. Annually ranked as some of the best in the world and incredibly the 3rd largest anywhere, the Turks and Caicos coral reef attracts visitors from all corners of the globe. If scuba diving is not your thing, snorkelling is still a brilliant way to discover the teeming masses of life and witness the amazing array of colours on display at the bottom of the ocean. Whilst you’re out there, why not get certified? A number of the fully equipped scuba and snorkelling shops on the islands offer everything you need to get started and progress on your way to becoming a fully-fledged scuba diver. Expeditions usually set of from the islands of Providenciales, with dive locations as close as 10 minutes from the shoreline. Other worthwhile trips depart from West Caicos, French Cay and Northwest Point and there are even a host of lesser known spots for the really keen divers and snorkelers. Marlin, sailfish and tuna are all common in where many describe as a fisherman’s mecca. Guided fishing boats and tours depart every day, taking care of everything from licenses to bait and tackle. If you land a huge catch, many guides will clean it and let you take it back to the hotel for supper – so no pressure! With sparkling, turquoise water and the opportunity to catch elusive creatures such as barracuda and bonefish, Turks and Caicos really do offer some of the most spectacular fishing in the world. With so many islands to see and do, many visitors spend a day or more island hopping in order to experience as much of Turks and Caicos as they possibly can. Using one island as a base is a great way to do it, allowing you to come home to relax at your leisure whilst always having the option of going out and seeing more. Each island offers its own unique take on what it means to be Turks and Caicos, expect to find whales, flamingos and some of the most breath-taking sights in the Caribbean. From a thrilling parasail to a leisurely afternoon sail, there are water sports for everyone on Turks and Caicos. Go kayaking and get up close and personal with the teeming wildlife off the shores of the islands, blast through the surf on a jet ski or view the islands from the air on a parasail. Water sports can be booked from almost every hotel, as well as a number of booths and centres across many of the islands. A guide to the Turks and Caicos that does not mention the wonderful food and drink is a guide incomplete, for sure! Whilst tourism has brought with it plenty of recognisable brands on the island, you’ll find a refreshing lack of any global food chains. Seafood should and will make up the majority of any traditional menu, with fried fish and cracked lobster popular across the islands. Wash it down with a beer or some of the areas traditional rum!